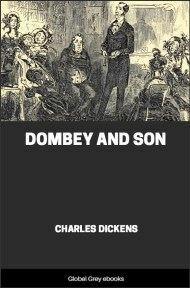 Written for publication as a serial, The Pickwick Papers is a sequence of loosely-related adventures. 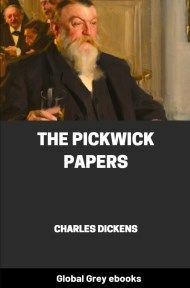 The novel's main character, Samuel Pickwick, Esquire, is a kind and wealthy old gentleman, and the founder and perpetual president of the Pickwick Club. 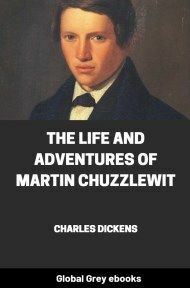 To extend his researches into the quaint and curious phenomena of life, he suggests that he and three other "Pickwickians" (Mr Nathaniel Winkle, Mr Augustus Snodgrass, and Mr Tracy Tupman) should make journeys to places remote from London and report on their findings to the other members of the club. 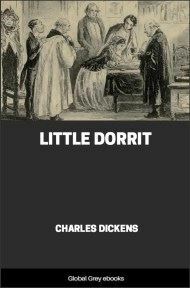 Their travels throughout the English countryside by coach provide the chief theme of the novel. The first ray of light which illumines the gloom, and converts into a dazzling brilliancy that obscurity in which the earlier history of the public career of the immortal Pickwick would appear to be involved, is derived from the perusal of the following entry in the Transactions of the Pickwick Club, which the editor of these papers feels the highest pleasure in laying before his readers, as a proof of the careful attention, indefatigable assiduity, and nice discrimination, with which his search among the multifarious documents confided to him has been conducted. 'May 12, 1827. Joseph Smiggers, Esq., P.V.P.M.P.C. [Perpetual Vice-President—Member Pickwick Club], presiding. The following resolutions unanimously agreed to:— 'That this Association has heard read, with feelings of unmingled satisfaction, and unqualified approval, the paper communicated by Samuel Pickwick, Esq., G.C.M.P.C. [General Chairman—Member Pickwick Club], entitled "Speculations on the Source of the Hampstead Ponds, with some Observations on the Theory of Tittlebats;" and that this Association does hereby return its warmest thanks to the said Samuel Pickwick, Esq., G.C.M.P.C., for the same. 'That while this Association is deeply sensible of the advantages which must accrue to the cause of science, from the production to which they have just adverted—no less than from the unwearied researches of Samuel Pickwick, Esq., G.C.M.P.C., in Hornsey, Highgate, Brixton, and Camberwell—they cannot but entertain a lively sense of the inestimable benefits which must inevitably result from carrying the speculations of that learned man into a wider field, from extending his travels, and, consequently, enlarging his sphere of observation, to the advancement of knowledge, and the diffusion of learning. 'That, with the view just mentioned, this Association has taken into its serious consideration a proposal, emanating from the aforesaid, Samuel Pickwick, Esq., G.C.M.P.C., and three other Pickwickians hereinafter named, for forming a new branch of United Pickwickians, under the title of The Corresponding Society of the Pickwick Club. 'That the said proposal has received the sanction and approval of this Association. 'That the Corresponding Society of the Pickwick Club is therefore hereby constituted; and that Samuel Pickwick, Esq., G.C.M.P.C., Tracy Tupman, Esq., M.P.C., Augustus Snodgrass, Esq., M.P.C., and Nathaniel Winkle, Esq., M.P.C., are hereby nominated and appointed members of the same; and that they be requested to forward, from time to time, authenticated accounts of their journeys and investigations, of their observations of character and manners, and of the whole of their adventures, together with all tales and papers to which local scenery or associations may give rise, to the Pickwick Club, stationed in London. 'That this Association cordially recognises the principle of every member of the Corresponding Society defraying his own travelling expenses; and that it sees no objection whatever to the members of the said society pursuing their inquiries for any length of time they please, upon the same terms. A casual observer, adds the secretary, to whose notes we are indebted for the following account—a casual observer might possibly have remarked nothing extraordinary in the bald head, and circular spectacles, which were intently turned towards his (the secretary's) face, during the reading of the above resolutions: to those who knew that the gigantic brain of Pickwick was working beneath that forehead, and that the beaming eyes of Pickwick were twinkling behind those glasses, the sight was indeed an interesting one. There sat the man who had traced to their source the mighty ponds of Hampstead, and agitated the scientific world with his Theory of Tittlebats, as calm and unmoved as the deep waters of the one on a frosty day, or as a solitary specimen of the other in the inmost recesses of an earthen jar. And how much more interesting did the spectacle become, when, starting into full life and animation, as a simultaneous call for 'Pickwick' burst from his followers, that illustrious man slowly mounted into the Windsor chair, on which he had been previously seated, and addressed the club himself had founded. What a study for an artist did that exciting scene present! The eloquent Pickwick, with one hand gracefully concealed behind his coat tails, and the other waving in air to assist his glowing declamation; his elevated position revealing those tights and gaiters, which, had they clothed an ordinary man, might have passed without observation, but which, when Pickwick clothed them—if we may use the expression—inspired involuntary awe and respect; surrounded by the men who had volunteered to share the perils of his travels, and who were destined to participate in the glories of his discoveries. 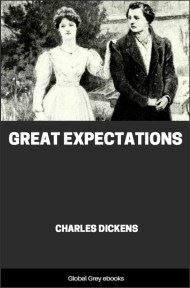 On his right sat Mr. Tracy Tupman—the too susceptible Tupman, who to the wisdom and experience of maturer years superadded the enthusiasm and ardour of a boy in the most interesting and pardonable of human weaknesses—love.